Donald J. Trump and Mike Pence were sworn in as President and Vice President, respectively. Trump Administration kicked off with an executive order regarding the Affordable Care Act. Senate stayed late on Friday to approve first two Trump nominees and begin the process for the third. Senate committees took on eight more confirmation hearings, bringing the total to 15 hearings in two weeks. While Gavel Down is normally a Friday wrap-up, we’ve had a couple of weeks where just too much was still happening into Friday evening to hit “send.” That was certainly the case yesterday! The Trump Administration officially began at 12:30 PM, as President Donald J. Trump and Vice President Mike Pence took the oath of office. 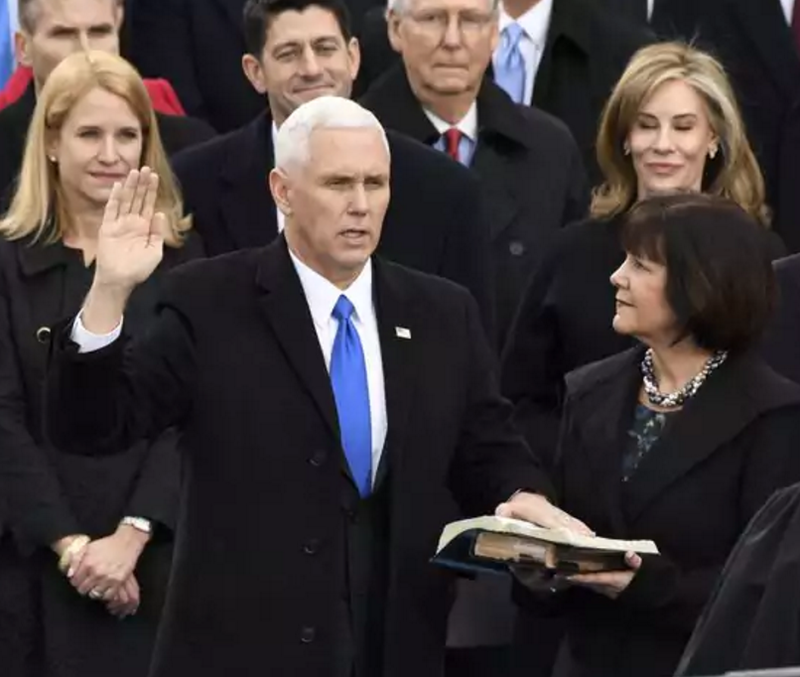 Supreme Court Associate Justice Clarence Thomas administered the oath of office to Vice President Mike Pence, becoming the first African American to swear in a vice president. 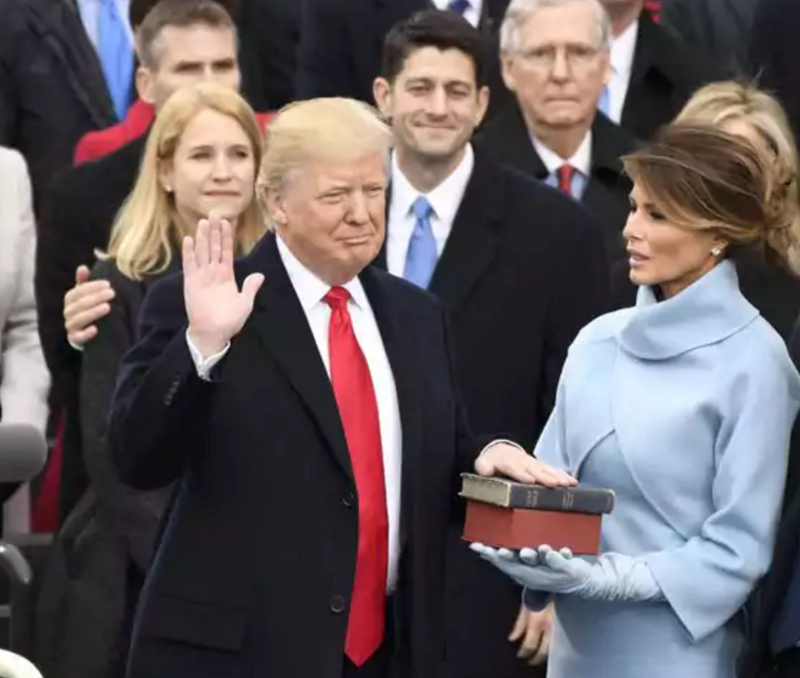 Then Chief Justice John Roberts administered the presidential oath of office to Donald J. Trump. 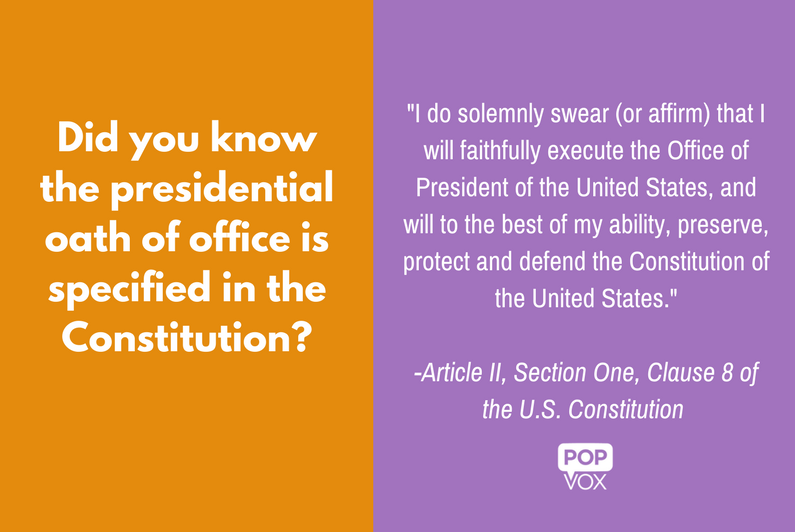 The thirty-five-word oath is specified in the Constitution. It ends one president's term and begins the next. Following his swearing-in, President Trump delivered his inaugural address. Watch or read the full speech. With many policy changes expected in both the near and long-term, here are our takeaways of what has happened so far, what’s coming, and how you can keep up with the process. The nominees are official! President Trump’s first official actions were to sign letters officially nominating his cabinet and other officers that had been announced since the election. See your lawmakers squabble over ceremonial pens (it's really amusing). Catch up on confirmation hearings you've missed (yeah, there's been a lot). Tell your senators what you think about particular nominees! Suspending a 0.25 percentage point premium rate cut for Federal Housing Administration-backed loans. Executive order specific to the Affordable Care Act (Obamacare). What's up with the Affordable Care Act? Within hours of taking office, President Trump signed an executive order aimed at rolling back the Affordable Care Act (Obamacare). So what does this executive order mean right now? The president, as head of the executive branch, tell its employees how to carry out their jobs and what to prioritize. This order does that. It directs the Secretary (legal shorthand for HHS as an agency) to take all legal steps to remove “regulatory burdens” of Obamacare. They still have to follow the law and existing regulations. Any major administrative change would require rulemaking (including a public comment and review process), and any major law change would, of course, require Congress. One likely impact will be for states that did not expand Medicaid. Many had applied for waivers to use federal funding in different ways for their own programs. Many waivers were denied. This order seems to tell HHS to do all that they can to approve those waivers. Monday: Sens. Bill Cassidy [R, LA] and Susan Collins [R, ME] will introduce updated healthcare proposal, aimed at giving states flexibility to keep Obamacare. Tuesday: Senate Finance holds confirmation hearing for Health and Human Services nominee Rep. Tom Price. No you're not imagining things, Senate HELP held a confirmation hearing for Price this week but it was a "courtesy hearing" and Senate HELP will not vote on the nomination. Wednesday-Friday: Republican Congressional retreat in Philadelphia. Expect more unified messaging on the ACA repeal process coming out of the retreat. Next week: *possible* confirmation vote on HHS Secretary nominee, Rep. Tom Price [R, GA-6]. Jan. 27: date set in budget resolution for committees to produce recommendations for repeal and replace plans (date could slip). Expect a lot of competing plans. President Trump said he has his own plan that is “almost ready” that would provide “insurance for everybody.” This plan has not been shared with Congress. Sen. Rand Paul [R, KY], the only Republican to vote against the "repeal" budget resolution, is expected to release a replacement plan. House Speaker Paul Ryan may release a "skeletal framework." February will be full of hearings and discussion about various plans and whether a “repeal” is passed before lawmakers decide on a replacement plan. POPVOX will update you every step of the way! The Senate convened Friday evening to approve two Trump nominees and begin the process for a third. Retired Gen. James Mattis became the first Trump nominee to be approved. The final vote was 98-1, with Sen. Kirsten Gillibrand [D, NY] voting no and Sen. Jeff Sessions [R, AL] abstaining (due to his nomination for Attorney General). held a confirmation hearing for Secretary of Defense nominee, Ret. 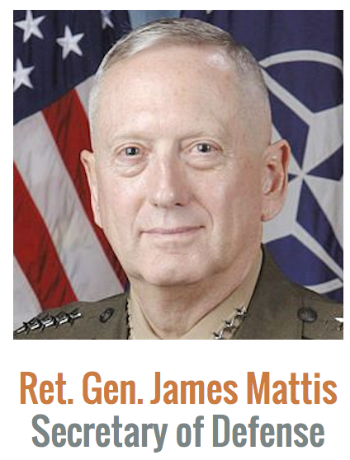 Gen. James Mattis. Congress then passed a waiver, exempting Mattis from a federal law that states that defense secretaries must not have been on active duty in the previous seven years. Senate passed the waiver by a vote 81-17, and the House followed suit by a vote of 268-151. 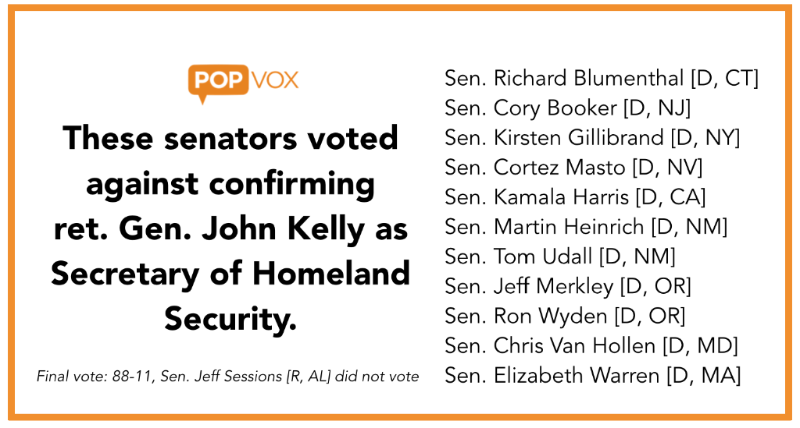 Senate then moved to approve Secretary of Homeland Security nominee, Ret. 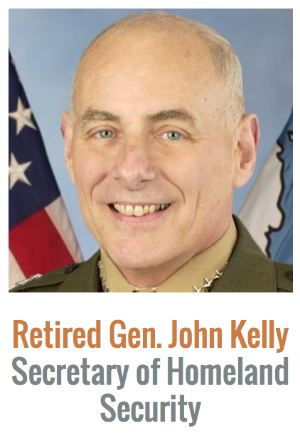 Gen. John Kelly by a vote of 88-11. Sen. Jeff Sessions [R, AL] once again abstained due to his nomination for Attorney General. All 11 nay votes were from Democrats, with both senators from New Mexico and Oregon voting in opposition. Lastly, Senate voted 89-8 to begin debate on Rep. Mike Pompeo's nomination to serve as CIA Director. On Monday there will be 6 hours of debate and then a confirmation vote. See how your senators voted and make sure to share your input regarding the nomination. This week continued to be hectic on the Hill as Senate committees took on eight more confirmation hearings — bringing the total to 15 hearings in 2 weeks. The good news is we can catch you up in no time! 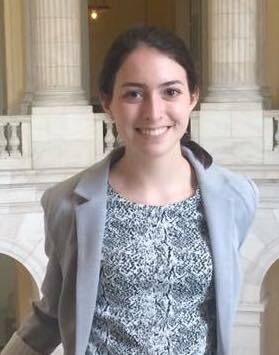 Special thanks to our talented interns from Brown University who attended confirmation hearings and produced explainers for our users. 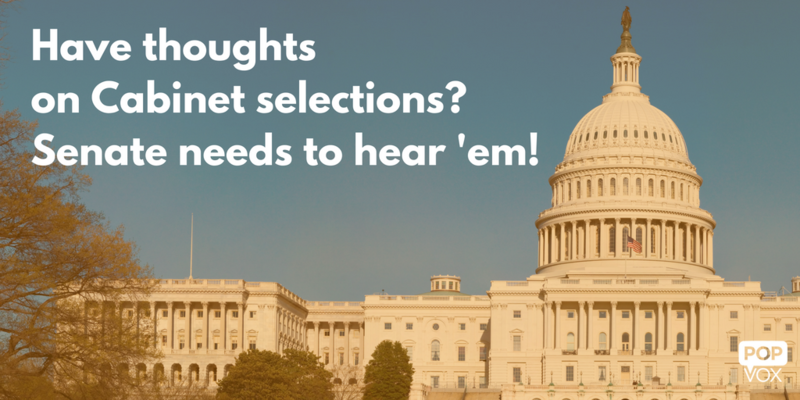 Tell your Senators what you think about the presidential nominees! Working on the Hill is a special experience. It's everything you expect and nothing you expect all at once. 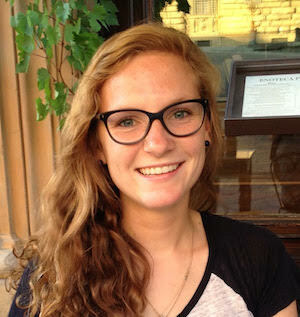 Special thanks to our latest group of interns from Brown University for their hard work. Read their takeaways for a behind-the-scenes look at life on the Hill. "Congress should reflect the will of the people, but if the people do not have a strong grasp on what exactly Congress is doing, it does not work as it should. Because no other source does what POPVOX does in such a comprehensive manner, writing for the blog has been immensely rewarding." Read more from Isabela Karibjanian. "And it is not just members of Congress who dedicate a large part of their life public service; the thousands of congressional staffers who you never see are integral to shaping and implementing policy." Read more from Sarah Campbell Tucker. "The members of Congress are in Washington to represent their home states and districts. I can’t think of a single senator who didn’t ask questions based specifically on their state in the confirmation hearings. They make legislation not just for the country, but for the people in their towns and counties." Read more from Christian Hanway. The Women's March (still in progress) has taken over Washington and inspired similar events around the country and the world. Several Members of Congress joined the program in Washington, including Sens. Kirsten Gillibrand, Claire McCaskill, Cory Booker, Kamala Harris, Tammy Duckworth, and several representatives, including Reps. Maxine Waters and Debbie Wasserman Schultz. Sen. Elizabeth Warren spoke to attendees at a sister rally in Boston. 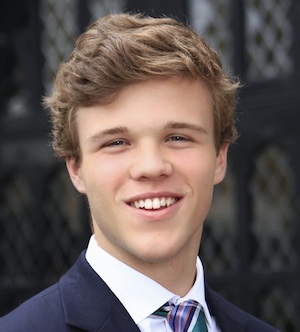 President Donald Trump selected former Georgia Gov. Sonny Perdue to serve as Agriculture Secretary. President Obama granted 209 commutations and 64 pardons. Of note: Chelsea Manning who was convicted of leaking documents to WikiLeaks and former vice chair of the Joint Chiefs retired Gen. James Cartwright who leaked information to two reporters. President Obama has now granted more commutations than any president in U.S. history. In a reversal from remarks made last week, Senate Intelligence will investigate whether the Russian government had ties to political campaigns during the presidential election. Congressional Budget Office reported on how repealing portions of the Affordable Care Act would affect health insurance coverage and premiums. Rep. Tom Price [R, GA-6] is facing ethics questions for buying stock in a medical device manufacturer before introducing legislation that would benefit the company. President Obama issued fewer executive orders on average than any U.S. president in 120 years. Federal Railroad Administration put forth first comprehensive plan to upgrade the northeast corridor rail line since 1978. House Ways and Means Chair Kevin Brady defended border adjustment provision in House Republican tax plan, following criticism from President Donald Trump. State Department announced $500 million contribution to the United Nations climate fund, fulfilling part of a $3 billion payment pledged by President Obama. Senate Majority Leader Mitch McConnell introduced a bill to permanently guarantee healthcare coverage for retired coal miners and their dependents, while bipartisan group of senators called for both a healthcare and pension fix. Six government agencies are investigating Russian efforts to influence the presidential election. Education Department said it overstated student load repayment rates and released new numbers. Consumer Financial Protection Bureau filed a lawsuit against Navient,the largest student loan management company in the country. Rep. Tulsi Gabbard [D, HI-2] took unannounced trip to Syria. Please note: POPVOX is in transition for 2017! but we're working hard to bring you new tools and resources. We thank you for your patience and feedback!